DISCOUNTS of 15% off the usual price of all Lady M Luxury Cruises' 2012 eight-day and 14-day Kimberley Coast itineraries are currently being offered by Broome & The Kimberley Holidays for bookings made before 31 March. Prices for the voyages start from $5,990pp/ts and include a bonus complimentary night at the Mercure Broome prior to the cruise. 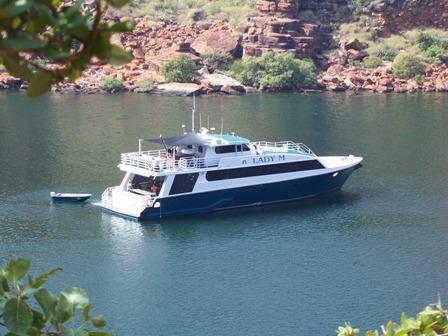 In addition, the company has also scrapped the single supplement for eight-day and 14-day Lady M Kimberley voyages booked before 31 Mar.